Above 22.28Gbps. 28 AWG solid OFHC, 6.5ft/2m long, nylon braided cord, gold plated plug. Zeskit’s High Speed HDMI Cable is designed to meet and exceed the highest standards of HDMI performance. 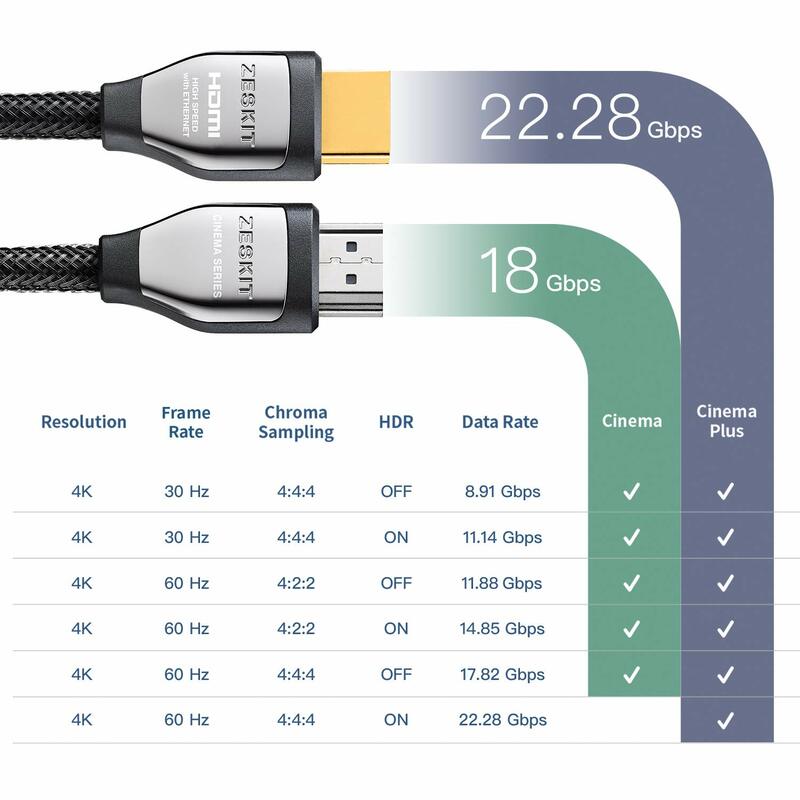 Capable of delivering 22.28Gbps bandwidth, they support all HDMI 2.0b features likes 4K@60Hz, HDR, YCrCb 4:4:4, HDCP 2.2 content protect. No more flash, no more error message. No matter you are a gammer or a movie fan, Zeskit HDMI cable satisfy you every time. With High-Purity OFHC Copper and triple EMI shielding, you get crisper picture, brighter, more realistic colors and greater detail. From the hottest new movie to your favorite games, everything is more lifelike than ever. Copper foil shield on both ends plus Mylar & alloy braided 100% shield along the whole cord. No flickering due to EMI.